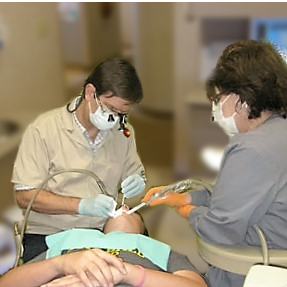 During your initial visit, you will receive a general health evaluation and review of current medications, a comprehensive oral examination to evaluate your teeth and gums, screening for oral cancer or other patholgy, and evaluation for TMJ disfunction. We will take digital bitewing x-rays to check for decay between your teeth and bone loss due to periodontal disease and a digital panoral x-ray which gives us a view of your entire upper and lower jaw. After compiling this information you may be scheduled for a consultation appointment to discuss all findings and treatment options. After deciding on the best course of treatment for you, we will arrange appointments to suit your schedule.